I am with my kids in a park or meeting someone new, so this is how the conversation typically goes after the usual pleasantries. X- Hmm.. what do you do? Me- I create marketing plans and strategize to provide brands with maximum reach and ROI for their online marketing spend. I utilize various social media marketing channels and tools to advertise and promote the brand online. X- Oh! So you put those pics and post on Facebook.. This is more or less the kind of conversation I have when I talk about my work. There is a lot of ignorance when it comes to Digital Marketing; however it gets compounded when I say that I am a soloprenuer working from home. People just assume that I am someone who likes random posts on Facebook 24*7 and gets paid for it! Somehow even today, people assume that those who work from home only eat-sleep and work in their pajamas! It is also assumed that ‘work’ is something that is done as per convenience. I mean in today’s day and age when more and more work is going global and people are working remotely, how can people even assume that a person will be paid just for sitting and home and opening a laptop is beyond me. According to a recent study, people who work from home end up working more. Digital Marketer.. what? – So you are online on FB and get paid for that! This is one myth that I am asked regularly. People just assume that I sit and like + comment on Facebook or any other social media of my choice and get paid for it! I mean that could be a dream job, but I do much more than that. I have even been asked why don’t I do this on the side and take another full-time job! Fun fact – If this kind of work is supposed to yield results it needs a lot of effort and focus. It is just like any other full-time job. Social media is Free Why pay for it? 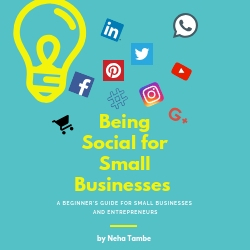 This is something that I come across when I am dealing with small businesses that are new or have no idea about social media. I understand that as a new business there is a cash crunch or most businesses are trying to go lean however if you are expecting someone to work for you and give you tangible results you need to pay for it. Though most channels are free, the tools used to analyze, create content, monitor and amplify are not free. If you wish to learn something on the job then shouldn’t you be ready to make small sacrifices? People see that I work from home today, but don’t realize that I have studied the topic for nearly three years, spent another 4 years working in the same industry before deciding to go solo. How much sales do you give? This is the kind of question that has me in splits! If you want your product or service to be marketed how you can expect me to give you a random number about sales? Do you ask these questions when you print flyers or run a radio or TV spot for your business? Marketing is done keeping in mind the client objectives which are then broken down into smaller goals. Implementing strategies, understanding what is working and then reworking on them to get results is the whole idea of this marketing exercise. Apart from this the enquiries that are received need to be pursued, followed and converted. This independence day I wish to be free from these misconceptions and hope that people respect work rather than labels and see solo-entrepreneurs or those working from home in better light. This post is a part of the Independence Blog Train and I nominate my old friend and colleague Nayantara to do the next post and take this Train ahead. I can well imagine how it feels. The society is just not happy with what you are. Initially, I used to say yes I am a homemaker- just a homemaker? This is also a shame. I totally agree to all the explanations you have given to bust these myths. After being associated in close terms with digital marketing now these things are quite relatable. I am looking forward to read the book and learn insights from it. You nailed it here. I can totally relate to this and I am glad you have busted these age old mentality and myths. This topic needs to be addressed and clarified openly much often. Amazing…I loved reading it. This is really ridiculous. Actually what happens is most of the people don’t even know about this digital marketing. I am in the same field so I can relate well with you. They dont know how much effort you have to put for a single FB post. Even sales/conversion you cant even confirm. But client’s thought process is still the same. seriously when someones undermines ‘work from home’ and make faces I get super pissed. Why do people think someone will pay to open laptop. 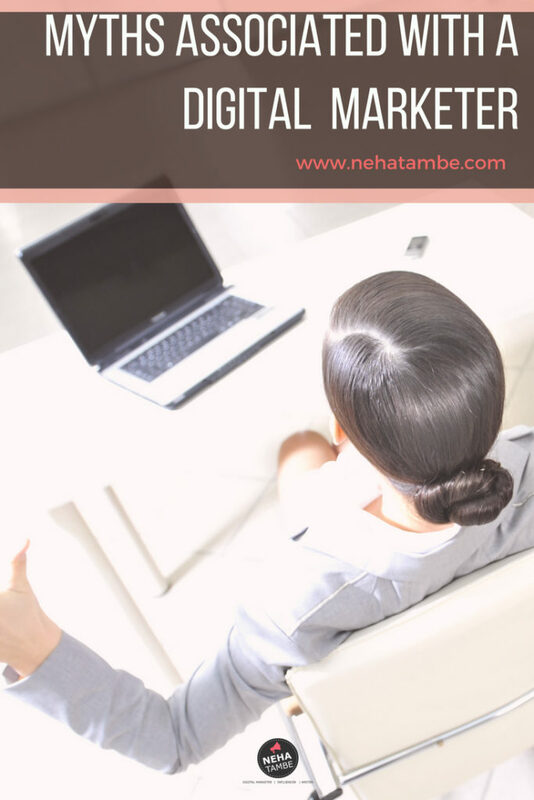 Work from home is a good option and many corporates ask their employees to work remotely sometimes. Work from home is picking up these days. It is not only appreciate by women or new moms but also by men as well. When something. Can be done from home, then why not and gone are the days when job means sitting in a cubicle and spending 9am-5pm window there. I have been there and know it all buddy. Glad you chose to speak on this. Someone really needed to address and break these myths of common man on our hard work. So with you on work from home part. People really don’t get it and WFH is muxh difficult than being in office . I too get questions on being paid while sitting at home in pajamas. Dnt let it bother you. And btw congratulations of your book. Would surely read it.. It is really hurtful when people dont understand your work and then judge you. Yes no one takes us seriously. Clients think we are vella and are ready to do anything for free. Society thinks work from home means doing nothing and some people want to be part of it only when I products as a part of campaign. You described every situation perfectly in the post. Excellent write up. I agree people tend to judge, even when they don’t understand things. I am quite a novice when if comes to knowledge about digital marketing but this is hilarious. How can people talk such BS. I do wish we can clear these misconceptions which your post does to a great extent.